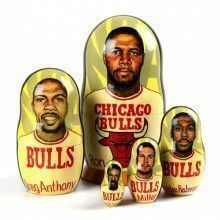 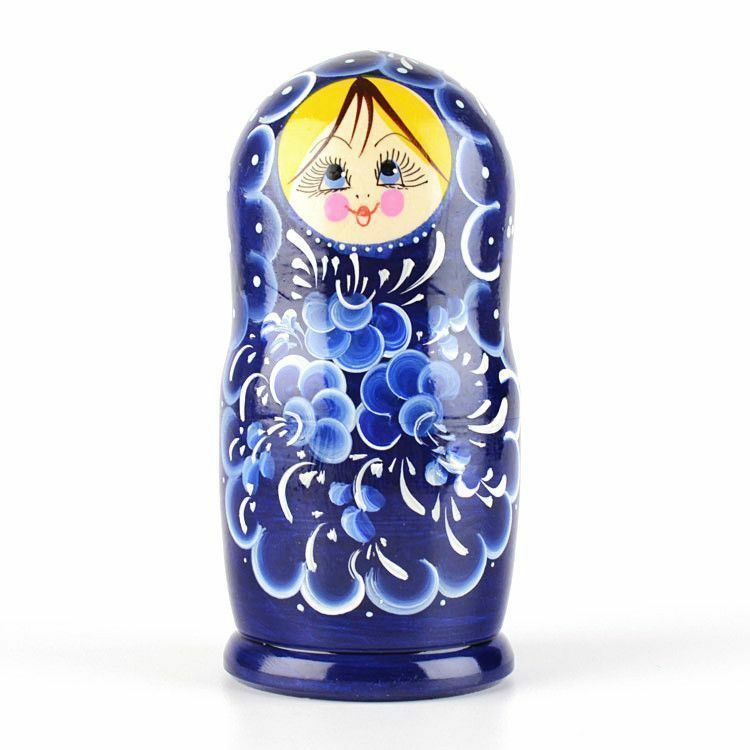 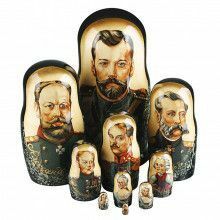 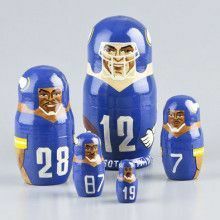 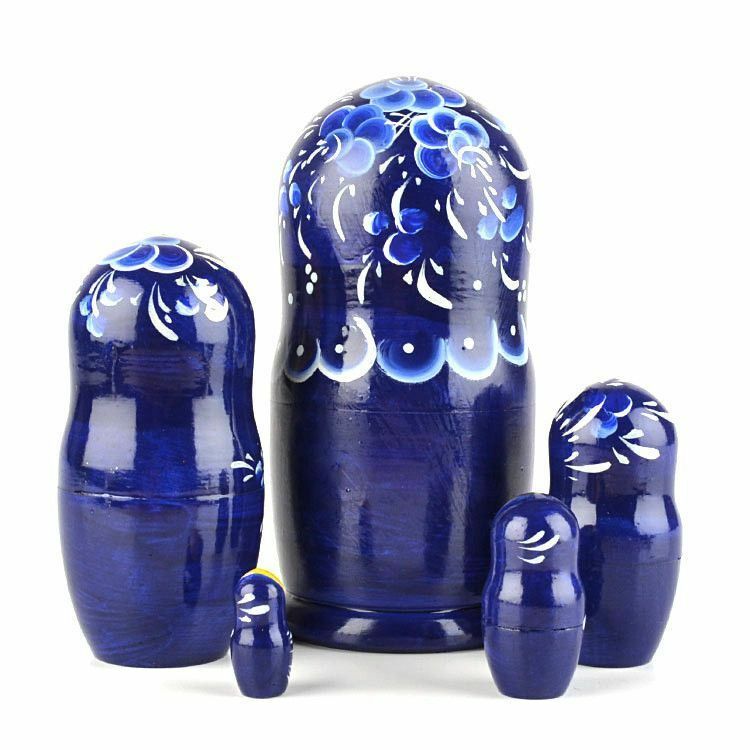 This very blue, floral design nesting doll was hand-made in Russia. 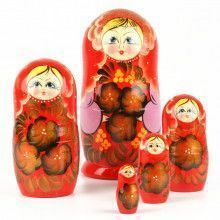 It is Approximately 6" tall, has a total of 5 dolls, and is gloss-finished. 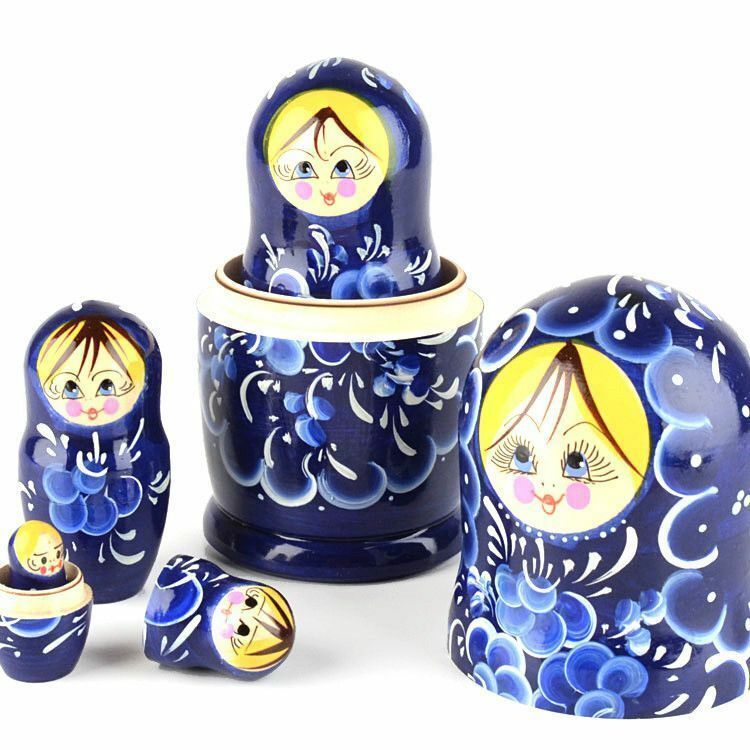 The blonde-haired, blue-eyed matryoshka is accented with white paint. 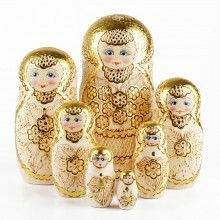 It would be a lovely addition to many homes' color schemes and would also make a wonderful gift.